TAMPA, Fla. – FC Dallas and USL League One announced today that FC Dallas will be a founding member and begin play during the league’s inaugural season in 2019. FC Dallas’ League One team will play its regular season at Toyota Stadium and potentially play a handful of games at another location within the Dallas/Fort Worth area. FC Dallas will announce the additional location as well as the name, head coach and logo of its League One team later this year. "We are delighted to have FC Dallas join the USL," said USL CEO Alec Papadakis. 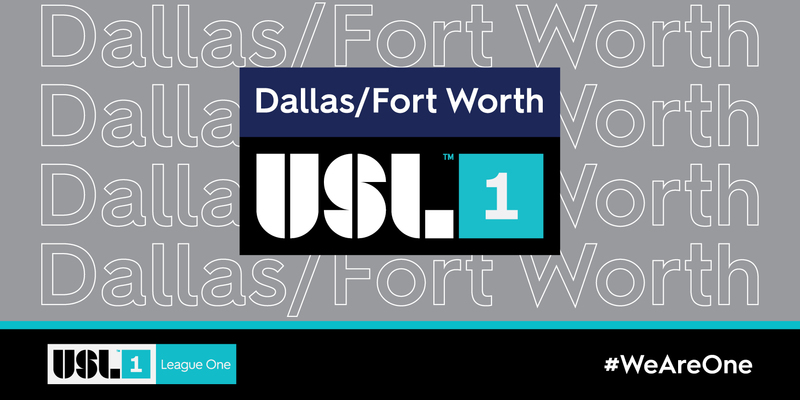 "For decades, the Hunt family has been at the forefront of growing the game in the United States, and now, they are embracing a tremendous opportunity to strengthen their club and the Dallas-Fort Worth region by launching a team in USL League One." Led by Chairman and CEO Clark Hunt and President Dan Hunt, FC Dallas has won the Supporters’ Shield (2016) and Lamar Hunt U.S. Open Cup (1997, 2016) since beginning play in 1996. FCD boasts one of the best academy systems in the United States, having signed 23 Homegrown talents to MLS contracts while winning two U.S. Soccer Development Academy titles in both the Under-19 age group and U-17 age group. "USL League One offers an outstanding opportunity for our younger players to compete against quality opponents," said FC Dallas President Dan Hunt. "Having a second professional team will allow us to create a culture throughout the organization that will help us succeed at every level." The USL League One regular season is scheduled to begin play the weekend of March 29-31 and conclude on the weekend of Oct. 4-6. The 2019 USL League One Playoffs will consist of four teams and begin the weekend of Oct. 11-13. The final match of the postseason will take place from Oct. 17-21. The FC Dallas-operated franchise will be League One’s 10th and final founding member for the 2019 season. For the latest news and updates, connect with FC Dallas on Twitter, Facebook and Instagram. The FC Dallas-operated side joins League One following the announcements of South Georgia Tormenta FC (Statesboro, Georgia), FC Tucson (Tucson, Arizona), Greenville Triumph SC (Greenville, South Carolina), Madison Pro Soccer (Madison, Wisconsin), Toronto FC II (Toronto, Ontario), Chattanooga Red Wolves SC (Chattanooga, Tennessee), Orlando City B (Orlando, Florida), the Richmond Kickers (Richmond, Virginia) and Lansing Ignite FC (Lansing, Michigan) as founding members. League One remains focused on positioning teams for long-term success by creating regional rivalries that reduce travel costs, encourage supporter travel and deliver on-field excitement.